With summer come fresh herbs straight from the garden, and what better way to celebrate Mother Nature’s bounty than by making full use of these vibrant and aromatic leaves? Basil is a quintessential summertime herb, and can be incorporated into a variety of dishes with which you can enjoy mellow summer days and evenings. 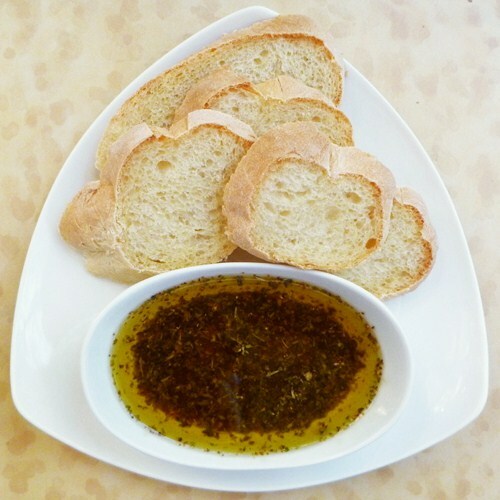 In addition to making a killer pesto, basil can also be used to make great dipping oil for bread. Start by harvesting your basil – this is best done early in the morning, or late in the evening, so the leaves retain an element of firmness. The herb needs to be absolutely fresh before you can use it to make flavoured oil, so either grow your own basil, or find a way to pluck it fresh from a plant. However, if this proves too difficult, you can simply buy basil from a store, and select the smaller leaf and stem sections. 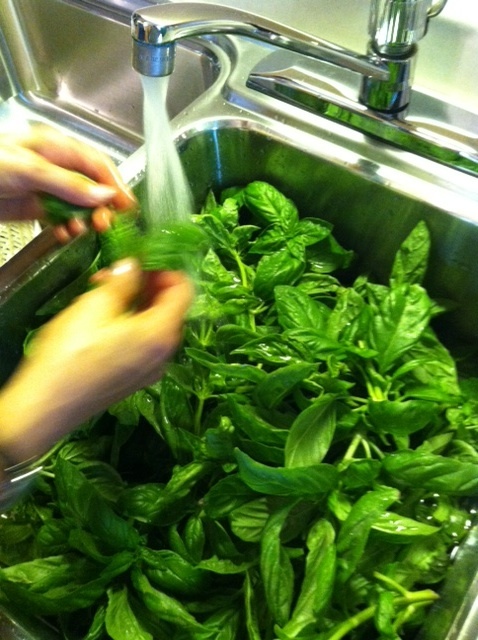 Next, clean the basil thoroughly, to rid it of any dirt or soil leftover from the garden. 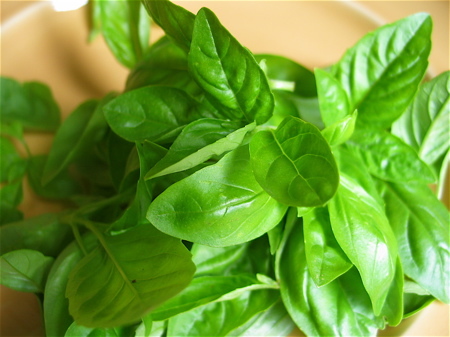 Basil is best cleaned by holding it under running water to rinse the leaves – soaking it makes the leaves too limp and soggy to handle. Once you’ve washed the leaves thoroughly, pat them dry with a towel. 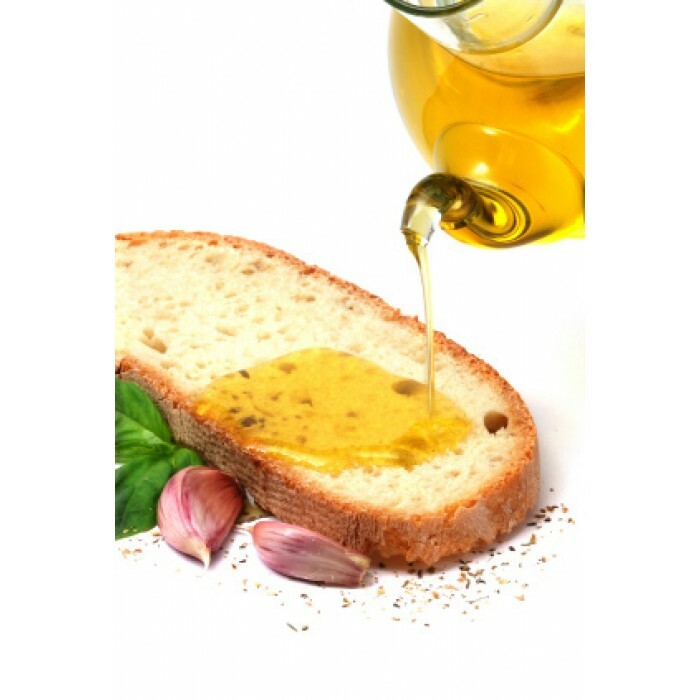 Pour extra virgin olive oil into a clean glass bottle, leaving two inches of head room. This will be the bottle in which you make your oil, and in order to give it visual appeal, ensure that the bottle is attractive. 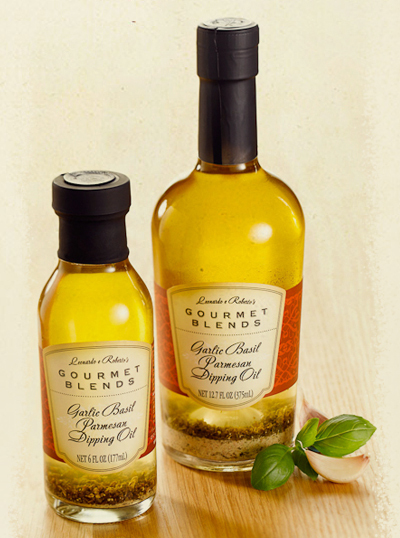 In addition to being a delicious accompaniment to bread, bottles containing basil leaves suspended in oil add visual appeal to kitchens and dining rooms. Slide the full stems of basil into the oil, and use a wooden skewer to adjust them as you want. Pour in more oil, to ensure that all the leaves are fully covered, and leave just one inch of head room in the bottle. 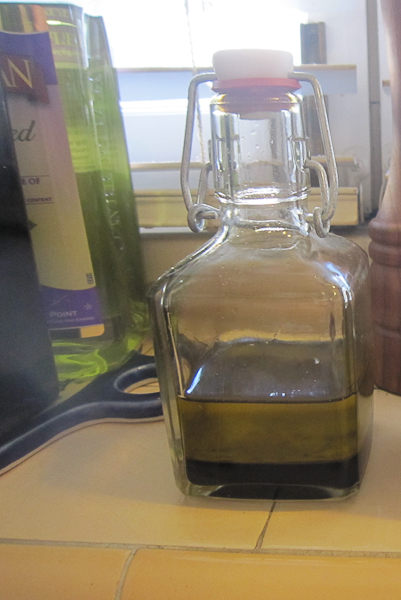 Finally, place the bottle in indirect sunlight, and allow the flavour and scent of basil to infuse the oil. A mild infusion will take around a week, but if you’re looking to enjoy a more intensely flavoured basil dipping oil, you can leave it to infuse for longer.